In the last regular season game at FedEx Field, where the Washington Redskins boast a 5-2 record going in, the Buffalo Bills stood in their way to keep pace in the woeful NFC East. With the easiest remaining schedule in the division, the Skins were still looking for back-to-back victories for the first time since Week 8 of last season. A clinic by quarterback Kirk Cousins, with a career high five total touchdowns, allowed the Redskins to continue their success against the Ryan brothers. Despite a couple of big plays by Buffalo in the second half, Washington dominated the Bills for their first victory over an AFC East team since 2007, 35-17. It has been customary for Alfred Morris to start the game on offense, which continued today. Two yards on his first three rushes looked to stall Washington’s opening drive, but Cousins delivered a beautiful ball in between the corner and safety to DeSean Jackson on a double move for a 28-yard game. Sean McVay started to exploit the Bills run defense with play-action and bootlegs that netted 35 yards on three plays with a great second effort by Alfred Morris sprinkled in. Faced with a goal-to-go situation, Cousins fired to Jordan Reed who ripped the ball away from former Redskin Bacarri Rambo for a touchdown. Robert Griffin III was used on scout team against the defense during practice to prepare the squad for the dual-threat of Tyrod Taylor. Early on it looked like it did not help much as the former Ravens backup scrambled on three occasions to turn big losses into a total of 15 yard gains. Preston Smith, who is seeing an increased role as of late, missed two opportunities for sacks but Washington was able to get off the field on a third-and-9 because the Bills committed a pre-snap penalty. Jackson continued to be a factor, even in the intermediate game where he gained 15 yards on two receptions. Following Trent Williams drawing a neutral zone infraction to convert a fourth-and-1, where Cousins’ hard count fooled the undisciplined Bills, Jackson burned Leodis McKelvin with an out-and-in route for 27 yards. When all looked lost following a eight-yard loss from Matt Jones where Jordan Reed missed his block on Manny Lawson, Cousins turned a botched shovel pass play into a 13-yard scamper for a touchdown on third down. For the second straight week Washington saw themselves with a 14-0 lead. Joe Barry seemed to temporarily fix his defense’s problem of getting Tyrod Taylor to the ground. Back-to-back sacks by Ricky Jean-Francois and Jason Hatcher, aided by solid coverage down the field, allowed the Redskins to force a quick three-and-out and set up the offense with good field position. Cousins would make quick work of the Rex Ryan run defense by continuing to establish Jordan Reed as an elite pass catching tight end in the league. Following a 24 yard gain against Rambo, Cousins would come back to the Florida product for an 18 yard catch on the post route for a touchdown. Washington had a chance to put the Bills on ice in the first half after forcing another three-and-out thanks to a Ryan Kerrigan sack, but Jamison Crowder muffed a short punt to give possession back to Buffalo. Taylor hurt the Redskins with his legs for a couple of first down runs. 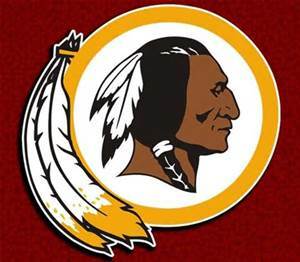 Washington also gave up a fourth-and-6 conversion, where Quinton Dunbar was backed up by Sammy Watkins. The Bills had second-and-goal from the one yard line and the Redskins stuffed LeSean McCoy twice and forced an incompletion on fourth down for another important goal-line stand. The Redskins were unable to take advantage of Alfred Morris’ career long 48 yard rush to get them out of the shadow of their own goal-line because of poor time management. Nonetheless Washington felt good about themselves going into halftime with a 21-0 lead on the Bills. Buffalo finally got their ground game going by shuffling their backfield once LeSean McCoy had to come out briefly with a knee injury. Bills running backs gained 41 yards on the drive that also featured a 26-yard reception by Sammy Watkins when Tyrod Taylor had all day to throw. Washington would force an incompletion on a pass to the end zone and stuff EJ Manuel on a read option attempt to force a field goal attempt once Rex Ryan opted against going for it on fourth-and-4. Cousins, and more importantly DeSean Jackson, were going to have nothing of a potential comeback as they hooked up on the next play from scrimmage. Cousins threw an “opportunity ball” to the former Eagle that Jackson adjusted to the back shoulder hurl. Instead of just a 30-yard gain to start the drive, Jackson circled back around, only retreating a few yards this time, before turning up field for a 77-yard touchdown. The Bills, without LeSean McCoy, quickly responded. After DeAngelo Hall made a nice play against Chris Hogan on a deep ball thrown 50 yards in the air, but Mike Gillislee went for 60 yards and a touchdown on the next play. The entire Washington defense was out of position and it fueled a comeback. The Redskins would have to punt for the first time away gaining just one first down and gave the opposition life. Buffalo got lucky with a stands call out of the challenge to have a 37 yard gain not reduced to 12. On the very next play Taylor, known for his deep ball accuracy, unloaded to Sammy Watkins who got behind Bashaud Breeland for a 48-yard touchdown. Within three minutes we had a 28-17 ball game in Landover. 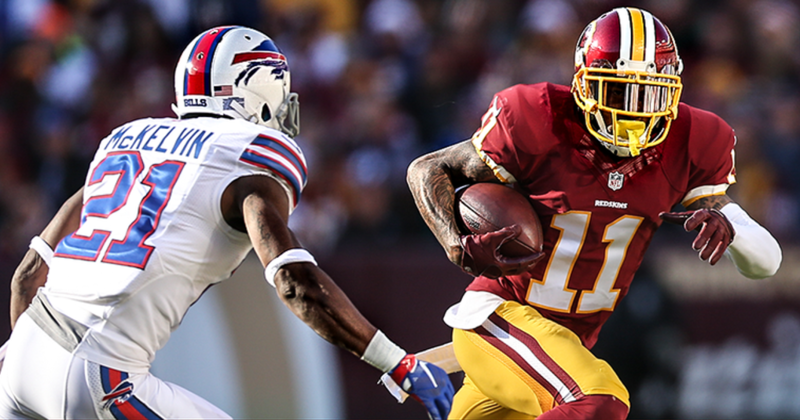 Washington looked like they would play right into Rex Ryan’s hands as a 11-yard sack given up by Trent Williams and a false start by Matt Jones resulted in a third-and-16. The Redskins would have had no chance to convert that earlier in the year, but Cousins confidently fired over the middle to Pierre Garcon for an 18 yard gain to end the third quarter. Cousins would then convert on a third-and-6 to Crowder as the Buffalo blitz was just a second late. Then Matt Jones rumbled for a 13 yard gain despite a facemask penalty. Two plays later Cousins rewarded Garcon with a shot in the end zone that the Haitian native went over the top of the defender, who had his back turned, for a touchdown. 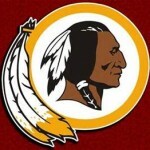 The Redskins defense looked to be tiring as they gave up two plays for 33 yards to start their next drive. Kerrigan would fuel a stand by drawing an offensive holding penalty after getting tackled off the edge. Joe Barry dialed up a safety blitz with cover zero and DeAngelo Hall’s pressure on Taylor forced an incompletion on fourth-and-7. The offense continued to be allergic to scoring points off of turnovers, but were able to melt the clock down to 6:16 with the Bills trailing by three possessions, 35-17. Buffalo would tack on a late touchdown and two-point conversion, but Pierre Garcon would cleanly recovery the onside-kick attempt to set up Kirk Cousins in victory formation. Washington will play the Eagles in Philadelphia next week where a win will clinch the NFC East division title regardless of what happens in Week 17 because the Panthers beat New York. Many of Redskins nation like that, including DC native Kevin Durant.